By Coach Jen Li Sheng, Centre Manager at Genesis Gym – Eunos Headquarters. In our efforts to bring about a higher level of education to our clients, as well the general public, our fantastic team at Genesis Gym will continue to explore important topics related to training, nutrition, and lifestyle, breaking them down so that they are easy to understand for the everyman. We have already touched on posture previously, and how it can affect your daily lives, so let’s look into another topic: hormones. Most people have heard about them, know something about them, but may not totally understand them. 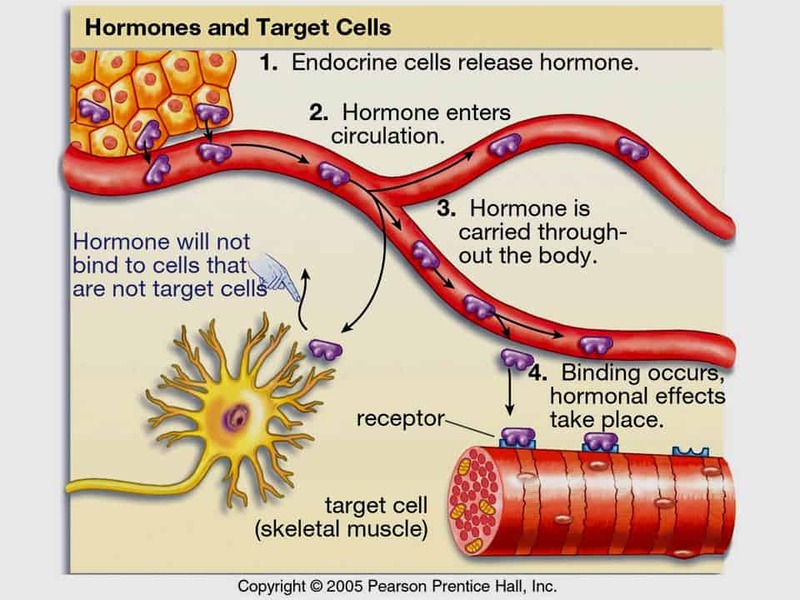 Moreover, there are different types of hormones, with different functions. To bring this topic closer to home and to avoid letting this post become a doctoral thesis (not that I can write one), we will contextualise this subject pertaining to rest and recovery. Let’s replace the word hormones with messengers. In essence, hormones are messengers for the instructions we are sending to our bodies. Every action that we do, and interaction with the environment, sends our body different instructions we give. Different messengers, ie the different hormones, are then produced, to send these instructions to our bodies to react, respond, and be a certain way. The entire process is a communication system between our bodies and us. So let's look at the different actions we perform on a day-to-day basis, and what instructions they give our body. Whenever we eat, we are sending an instruction to the body: Build yourself up! Store energy for future work! The primary messenger would be insulin. Insulin tells the cells in your body, both muscle and fat cells, to take up nutrients in your bloodstream, obtained from the food you ingest. This activates the build-and-repair processes. Similarly, when we sleep, do leisure activities that we enjoy (read a book, take a stroll in the park, spend time with loved ones, etc), or treat our bodies to a massage, we have given a similar set of instructions to our body: you are safe, you can relax. Please regenerate! The messengers sending these instructions to the body would be serotonin, melatonin, growth hormones, amongst others. From here, your body recovers from stresses exerted on it. They get rid of waste material and generate new cells. Now conversely, whenever you train, you are giving the instruction to your body: tear yourself down! Cortisol is the main messenger sending this message. Your body will then break down glucose, fat and yes, even protein from muscle, for energy. Another messenger produced from exercise and training is adrenaline, which tells your body to keep the heart rate up, blood sugar levels elevated, and your brain alert. The process of breaking down your body, and powering it through this process, is essential. Only with the tearing down of your current state can your body repair and build a better version of itself. You train hard in the gym to break down your body. Then you eat, relax and sleep to rest and recover. The cycle continues and you become more awesome over time! Training is not the only thing that can send the instruction for your body to break down. The daily rigours of life do the same - work, bills, kids, family, responsibilities. Dealing with all these, produces the same messengers, giving your body the same instructions, exerting a similar effect. As such, more messengers, more cortisol and adrenaline, are created to tell your body to tear it up. What is interesting is that compared to a regular training session, which may last about an hour or so, you deal with these stressors for a longer period of time. Pretty much throughout the entire day. As such, what usually happens is that your body gets this instruction to remain in a state of breakdown, without having a chance to recover properly. Here is where things can start going down south. You look in the mirror and you don’t like what you see. You feel lousy, your health is poor, and the people around you start to get affected too. Compounding this is that you decide to join a gym, hit the weights hard, and bust out intervals like no tomorrow, in an effort to reclaim your health and improve your physique. This only adds more messengers to tell your body to break down, when there are plenty of them doing that job already! Slowly, you get cravings to eat more. You just can't perform in the gym And you never seem to be able to get enough or good sleep. Not that you have the time for that. All these are S.O.S. signals from your body to you: Hey, when are you gonna send us the instructions to take a break? Where are the rest-and-repair messengers? Eventually, your sleep worsens. Mental acuity and physical capabilities degenerate. And the ability to take care of your responsibilities and loved ones decrease. Of course, there is also this funny thing about how you are not seeing improvements in how your body despite all the hard work. The problem is that you have created too many messengers of breakdown in your body, and have not given enough priority to create messengers of rest and repair, to build your body up. Very often, our response to a highly stressed, overweight, and exhausted body is to throw more exercise and training at it. And if you are following so far, that is not going to work very well. The proper solution is not to eliminate exercise, which is good for you (and if you want to be awesome). It is to reduce the messengers of break-down, and increase the messengers of build-and-repair. With sufficient build-and-repair messengers, your body can regenerate itself well. It can then take on stresses and stressors in life much better. As such, take stock of your life and see how you can mitigate stressful activities, as well as add more restorative activities. We cannot emphasise this enough. When you do not sleep well and sleep enough, cortisol is higher the next day overall, and affects your sleep the following night. You get caught up in this unending cycle of bad morning energy, higher stress throughout the day, and poor sleep quality at night. This is a common problem for many clients who come to us. Most people need 7-9 hours, with those with higher demands in life needing closer to 9. Do not skimp on this. It is important. As for sleep quality, the simplest thing to do is to make your room like the Bat Cave. Make sure it is totally dark, and that you cannot see anything when the room lights are turned off. Your skin and eyes are sensitive to light, and the smallest amount can decrease melatonin production, a messenger that tells your body to go to sleep. At Genesis Gym, we recommend our clients have 70-80% of their foods in their diet be as unprocessed as possible. Why? Unprocessed foods contain more inherent nutrients, minerals and vitamins compared to processed variations, nourishing the body, giving it more vitality. Don't be surprised that when you do that, your mind starts thinking better too. No, do not vilify processed foods, they have their place in terms of convenience. However, as a general rule of thumb, it is harder to go wrong with food if there were less steps involved between coming from nature and going into your mouth. Going hand-in-hand with diet is supplementation. Some would argue that people in the past did not use to have supplements. They got what needed from nature, and were fine and healthy. I would argue that people in the past did not have our stress levels, our polluted environment, slept when it was dark, got up when the sun rose, and were a lot more active. With higher demands from our lives come a higher need for supplementation in order to be nourished and healthy. Most of us are so busy with our duties, responsibilities, and caring for our loved ones that we forget about ourselves. But the fact remains: you have to take care of yourself before you can take care of others. Set aside some time each day to do something you enjoy, or that which builds you up as a person. Read a book and learn something new, engage in your favourite hobby (besides indulging in junk food or alcohol). Get a massage, or stretch and foam roll. Or if family is your motivation, spend time with them. Having an attitude of gratitude sounds like an airy fairy, motivational speech type of hype, but it does work and there is research to back it up. I have found this to be a common trait for people who have achieved success, both within and outside the health and fitness industry. Before you go to bed each night, think of 5 things you can be grateful for during the day. It can be something as small as catching the bus on time, having your favourite food for lunch, or just being able to get back home to your kids after work. Personally I find that by the time I get to #3 or #4, my mood would have lightened significantly. And the smaller the situation or thing I can be thankful for, the better I feel, and the more appreciative of life I become. I become grateful for the air I breathe, the food I get to eat, the job I have. Don't send the wrong messages to your body. In spite of our best efforts and intentions, you have to work within its parameters, not coerce it into changing. Constantly sending more messengers to break it down without regard for rest and restoration will only leave you spinning your wheels, both in terms of health, and your physique. If you would like to know how you fare on your hormone levels management, Genesis Gym Singapore has helped over 10,000 clients achieve their optimum health over the years. You may contact us at 93374188 or drop us a message for a no-obligation consultation.